I always used to laugh when I’d reach the end of flights and the flight attendants would thank me for my loyalty. “We know you have a choice when flying, so thanks for choosing [insert name here]”. Hah! Like I really had a choice and like there was much difference between the airlines. I’d always just fly whatever was cheapest, and when I was travelling between Southern California and Colorado, that usually was America West (RIP) and Ted Airlines (also RIP, but was United’s less sucky budget airline). That all changed after I started flying Southwest Airlines a few years ago. Now, if I’m booking my own travel, it’s the only airline I’ll fly if I have a choice. 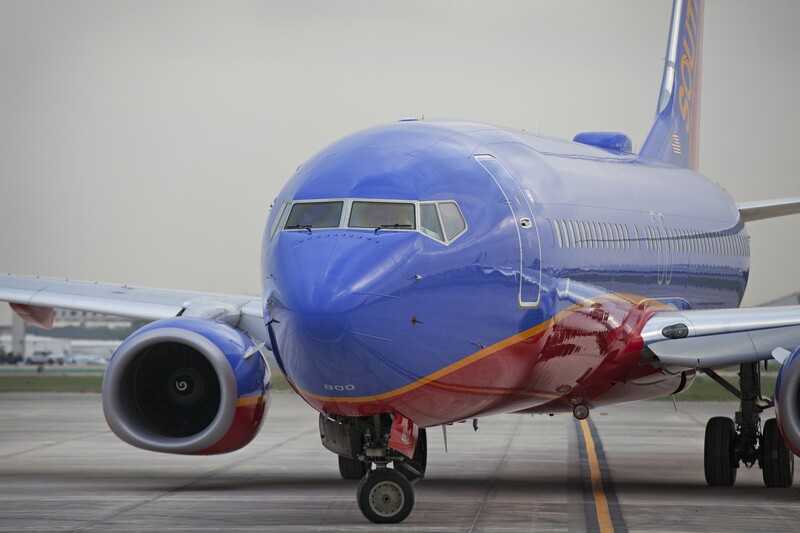 And it’s not just one reason, but a host of things that makes Southwest wayy better than any other airline I’ve flown in the past three years ever. No change fees (and refunds on fares!). Ok, this is by far my favorite thing about Southwest. Buying tickets used to seriously stress me out. What if the price goes up?? What if it goes down? What if an emergency comes up and I can’t make the trip? Southwest has completely eliminated that stressor for me. Not only do they not charge stupid change fees (usually $100 on other airlines–though United just raised theirs to $200, ugh), but if you find a cheaper fare later for your flight, they’ll refund you the difference outright or in Southwest fare credit, depending on your fare type. You have to use the credit within a year, but that’s never a problem for me. Already this year, I’ve saved $150, not even counting the change fees I would have otherwise spent. Best people ever. Southwest employees are allowed to act like real human beings. I love that. I flew another airline from Charlotte to Roanoke last week, and if you couldn’t guess, Roanoke is a super small airport. Of course we were flying a prop plane with no overhead room, but the gate agents were reading off a script that was completely general, like “You may be flying in a plane that will not accommodate large bags in the overhead bin.” I may? The plane is right there out the window, of course I’m going to have to gate check my bag. It wasn’t the gate agents’ fault that they had to read from a silly script, but it’s just a silly policy to have to read from the same document regardless of the context of the flight or airport. Southwest employees generally seem to be allowed to be people, up to and including making jokes on the flight. I love when you get an attendant with a sense of humor, but even if the flight isn’t a barrel of laughs, the friendliness and happiness of SWA employees is hard to beat. Technology that works. Southwest has made me a snob in this respect. If they can let me change my flight without EVER getting on the phone to talk to a representative, why can’t other airlines? I really like their online interface, the ability to change my flights on the fly, and keep track of my miles without any long number typing. I will say their Android app could use some improvement (there’s no way for me to login and check in automatically right now; I still have to get out the confirmation number), but the ease of the web interface makes up for it. Free snacks. Oh glorious peanuts and pretzels and Ritz crackers, oh my. Not only are the snacks that would cost $5 on any other airline free, you can also usually snag as many as you want. Really nice for the DEN to East Coast flights I take that are 3-plus hours. Non-stupid seating. Now, I know some people get really tense over Southwest’s seating policy. I like an aisle seat as much as the next person, and it’s pretty easy to get if you’re in A or B seating. And all you have to do for that is check in the day before your flight. You’ll land an upper B if you check in 24 hours ahead of time, and a later B if you’re in the 12-hour range, but if it really makes you tense, just pay the $12 for Early-bird check-in. You’ll have your pick of the plane and not have to hope you didn’t get assigned seat 59E on some other airline. It really also beats the pretentious “Golden Members enter through this special red carpet aisle in the boarding area”-first shenanigans of other airlines. I know lots of people love the bags fly free policy, but I’ve gotten so used to being a carry-on only flyer after bag fees became en vogue that I don’t utilize that benefit, though I’m sure many people do. In short, I finally understand that “You have a choice when you fly” statement, and whenever I do have a choice, it’s Southwest all the way. Oh, and I’m totally writing this on a Southwest flight as we speak, horray for the wi-fi! I swear I was not paid or otherwise asked to write this post. I just really, really think all other airlines could learn a thing or two from this one, and we’d all like flying better.